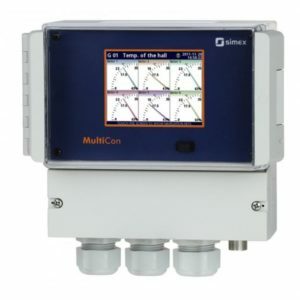 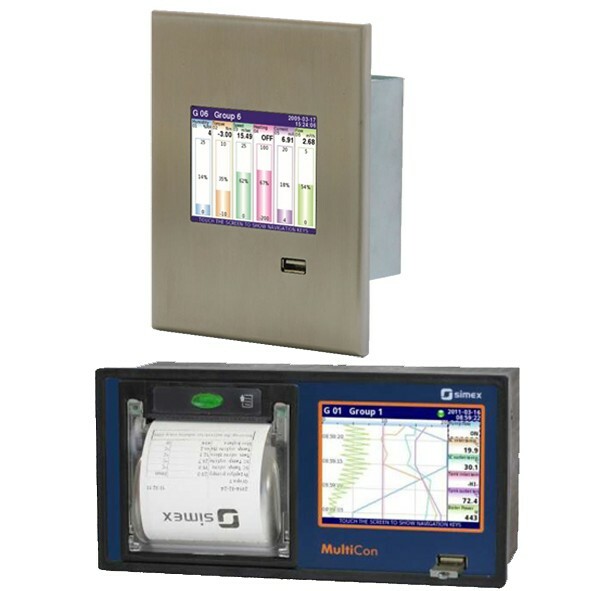 The Multicon CMC-99 Indicator/Controller/Recorder is designed for panel-mounting and is equipped with a 3.5″ LCD touchscreen. 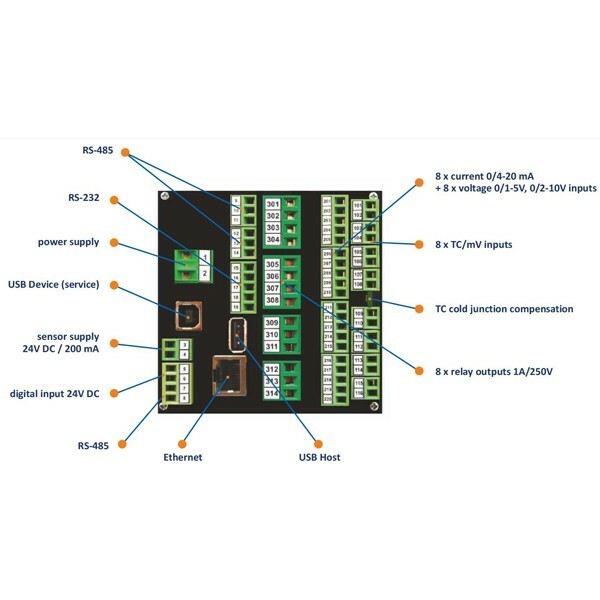 It is modular and up to 3 internal cards can be installed to provide up to 48 analogue or digital inputs and 60 virtual channels (permitting calculated channels and sophisticated control). 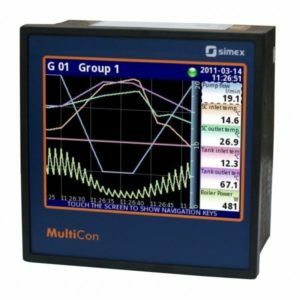 Over 40 cards and modules are now available – from 4…20mA or thermocouple input to Ethernet comms to 230VAC relay outputs. 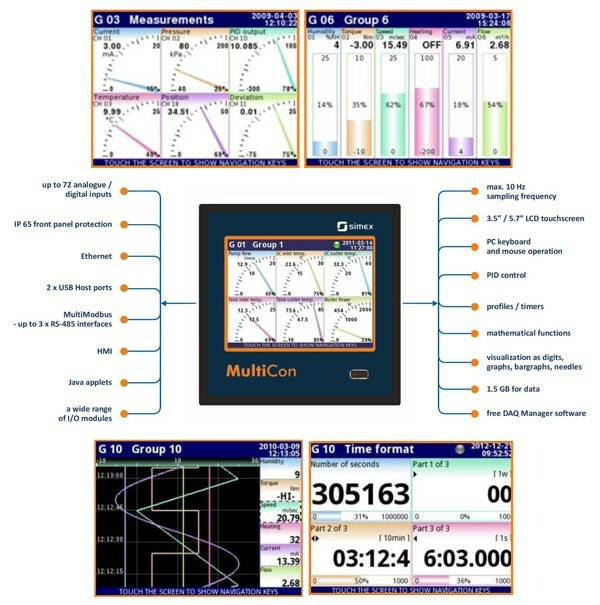 And data-logging can be enabled to turn the device into a powerful data recorder. 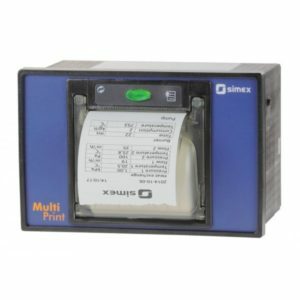 Give us a call to talk through the options for your project – we specialise in configuring just the the right spec for your needs (and keeping your costs down). 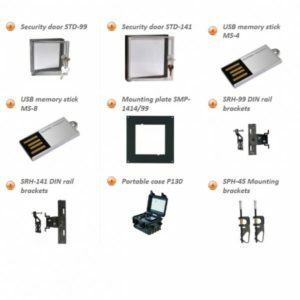 transparent door STD-99; raises IP from IP40 with front USB to IP54.